I continue to collect the Wordsworth Editions Tales of Mystery & The Supernatural, which I’ve found to be an inexpensive way to gather a diverse range of early horror writers on a single bookshelf. 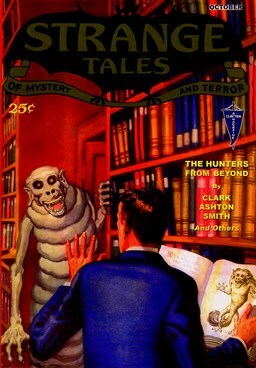 My latest acquisition was Voodoo Tales: The Ghost Stories of Henry S. Whitehead, which I bought because it was huge (691 pages! ), inexpensive ($3.90! ), and ’cause it had voodoo in it (voodoo!). What can I tell you, it was a compelling combo. I’ve never heard of Henry S. Whitehead, but apparently he was an early Weird Tales writer who had two Arhkam House collections. You’d think I’d be more on top of an author who had a pair of Arhkam House collections, but no. This genre keeps finding more ways to surprise me. I’m guessing that Whitehead wrote mostly voodoo tales, but I won’t know for sure until I dig into the volume. Until then, I’m relying on the cover and the text on the back, and I’m definitely picking up a voodoo vibe. Let Henry S. Whitehead take you into the mysterious and macabre world of voodoo where beasts invade the mind of man and where lives of the living are racked by the spirits of the dead. In this collection of rare and out of print stories you will encounter the curses of the great Guinea-Snake, the Sheen, the weredog whose very touch means certain death, the curious tale of the ‘magicked’ mirror, and fiendish manikins who make life a living hell. Included in this festival of shivering fear is the remarkable narrative ‘Williamson’ which every editor who read the story shied away from publishing. Henry St. Clair Whitehead was born on March 5, 1882, and he died on November 23, 1932. Much of his fiction was published posthumously and indeed this collection includes stories published between 1924 and 1970. 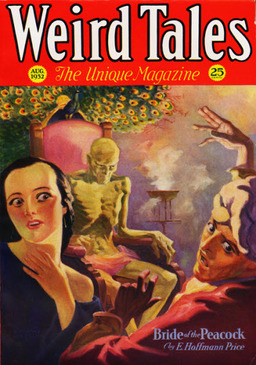 Lovecraft was one of his most notable fans, calling his 1931 tale “Passing of a God,” “(p)erhaps representing the peak of his creative genius.” Voodoo Tales collects 35 short stories and two novellas: “The Great Circle” (1932) and “Seven Turns in a Hangman’s Rope” (also 1932). 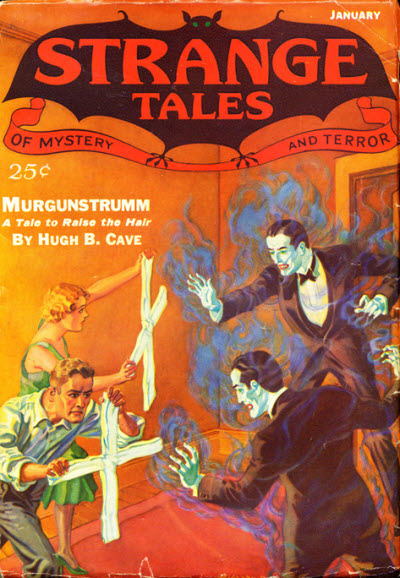 For Lovecraft fans, it also includes their sole collaboration, “The Trap,” which appeared in the March 1932 issue of Strange Tales of Mystery and Terror. 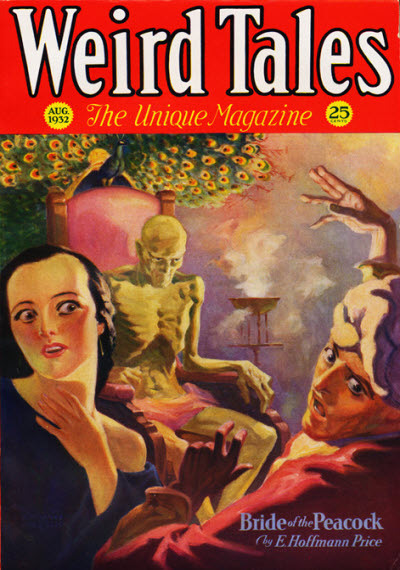 Just for added color, here’s a sample of the pulp magazines these stories originally appeared in. And here’s three of Henry S. Whitehead’s vintage collections: West India Lights (Arkham House, 1946), Jumbee and Other Voodoo Tales (Mayflower, 1976), and The Black Beast and Other Voodoo Tales (Mayflower , 1976). Boy, I love the cover on The Black Beast. Wonder who the cover artist is? And I wonder if I can find a copy…. 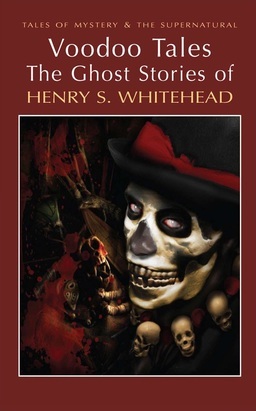 Voodoo Tales: The Ghost Stories of Henry S. Whitehead was published in the UK by Wordsworth Editions on September 1, 2012. It is 691 pages, priced at £2.99 in paperback and $3.99 for the digital edition. I bought my copy from an Amazon seller for $3.90 earlier this month. Was it here or over on James Reasoner’s blog there was a lively discussion about Whitehead? 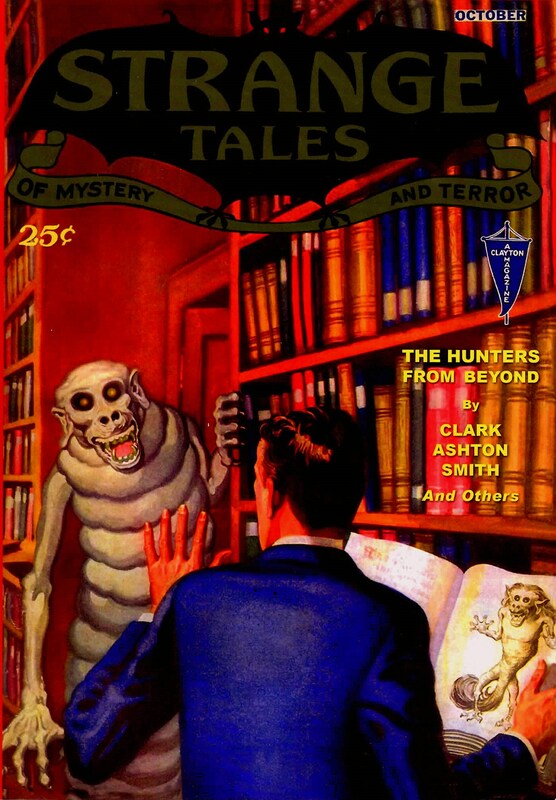 (Whitehead has one of the first stories in ZOMBIES FROM THE PULPS, which James is reviewing one story at a time.) Anyway, I think if he hadn’t died so early in his writing career, Whitehead would eventually have become almost as well known as Howard or Lovecraft. He lived for a time in the Caribbean which is why his work has such a voodoo vibe. 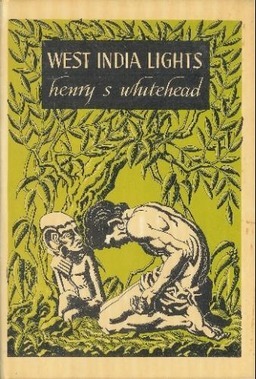 Ash-Tree Press published the first of three projected Whitehead collections a number of years ago before they converted to only doing ebooks. Last I checked, that volume was only available in print, but I think all the stories from it are in the collection under discussion. Come to think of it, a number of the Wordsworth authors have been published by Ash-Tree. What I love most about the Wordsworth editions is that they’re so inexpensive. What I dislike moat about them is that they’re so cheap. But I’ll take the physical cheapness, seeing that they’re the only place to get so many neglected authors. If only they would do a best of H. R. Wakefield! Only read a few so far but spooky good stuff. The problem with these books is indeed their cheap price. I downloaded the Oliver Onions one about ten minutes after I bought this one. This collection has to be one of the finest “weird” anthologies to come out in ages. I almost wet myself with joy when it was announced. And this is also the most complete Rev. Whitehead collection that we will ever see. I think that these are wonderful stories, that for their time, are amazingly progressive. Whitehead showed quite a bit of respect and affection for the folks from St. Thomas. 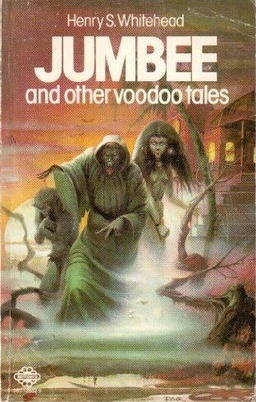 Oh, and Wordsworth has sadly discontinued their “Tales of Mystery and the Supernatural” line. The sales weren’t good enough. What a shame. > Was it here or over on James Reasoner’s blog there was a lively discussion about Whitehead? > Anyway, I think if he hadn’t died so early in his writing career, Whitehead would eventually have become almost as well known as Howard or Lovecraft. > He lived for a time in the Caribbean which is why his work has such a voodoo vibe. > doing ebooks. Last I checked, that volume was only available in print, but I think all the stories from it are in the collection under discussion. I tend to avoid Ash Tree editions for the same reason I avoid Centipede… they’re gorgeous, but far too limited a print run, and much too expensive. > What I love most about the Wordsworth editions is that they’re so inexpensive. Ditto! And they have great covers, and a fine editorial team. And a huge back-catalog. But cheap is up there on my list of Reasons To Love Wordsworth. > What I dislike moat about them is that they’re so cheap. You mean poorly produced? I haven’t had that experience, but I haven’t given them a serious work out yet. I tend to sample them, more than read cover-to-cover. > Ash-Tree also has electronic versions of their Wakefield collections for $6.99. You know, I wasn’t aware Ash Tree had flipped to digital productions. Thanks for the link! > Only read a few so far but spooky good stuff. > I downloaded the Oliver Onions one about ten minutes after I bought this one. Um, who? Oliver Onions?? You and Keith are making me feel very uneducated on these Wordsworth Editions. Seriously, cut it out! Thanks for the link! Should have known you’d get to him first. > Oh, and Wordsworth has sadly discontinued their “Tales of Mystery and the Supernatural” line. The sales weren’t good enough. What a shame. Ah… I was afraid of that. There are a great many for me to collect still, so it will be a long time before I exhaust what they’ve already produced. But still… that’s a real shame. John, I just meant that the paper (both cover and interior) seems considerably coarser and cheaper than that found in most paperbacks. Really though, I have a bunch of Wordsworths and they tend to hold up decently. And I agree with you about Ash Tree and Centipede – I have only two Ash Trees; the pricing makes them beautiful but deadly. Same in Spades for Centipede, though I did pop for the two volume Karl Edward Wagner short stories that they put out a couple of years ago. I also have their edition of Visiak’s Medusa, simply because it’s completely unobtainable any other way. It was $127 on Amazon – lord, I hope my wife doesn’t read this – and I still haven’t read it because if I paid that much for it and then didn’t like it, I would be really cheesed. Now it’s sort of like a lottery ticket – it may be wonderful! I agree with you about Centipede and Ash-Tree as far as pricing goes. The Carl Jacobi volume went out of print before I could ﻿beat up enough kids for their lunch money, uh, I mean save the required funds. And most of my Ash-Tree titles were acquired before I started a family. Ash-Tree hasn’t publicized their electronic editions well, but most (not all) of their catalogue is available in that format. They are even producing new books. 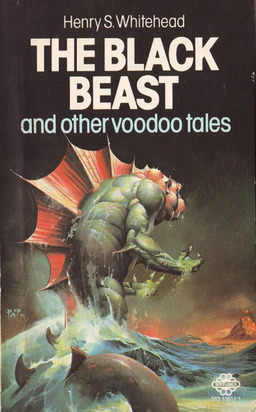 My (scant) knowledge of Whitehead comes from being a fan of Weird Tales, which I came to through Robert E. Howard. Whitehead has stories in some of the omnibus WT anthologies I’ve picked up over the years. And Oliver Onions’ classic ghost story “The Beckoning Fair One” was an episode of the CBS Radio Mystery Theater when I was a kid. Thomas, I won’t tell your wife if you won’t tell mine I’ve spent a similar amount for the Centipede collection of Henry Kuttner. I wish Centipdede would put out more paperbacks; I have their pb editions of The Other and Falling Angel and they’re very, very nice.